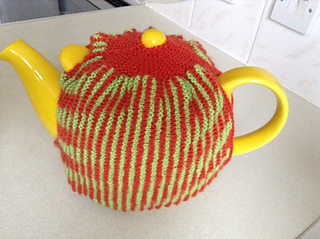 We were recently asked to make a tea cosy for a local event. 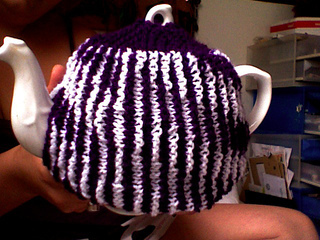 At first we declined then decided it would be a good opportunity to try out another way of using illusion knitting. 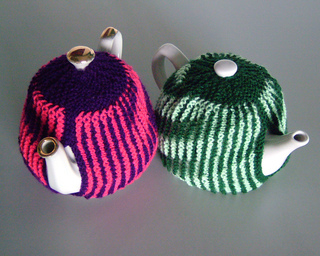 It is difficult to draw a line between illusion knitting and shadow knitting. These incline more towards the shadow category. Illusions are always best seen flat and that is impossible on a teapot. Some parts of the stripes are always in view but as you move round different parts go in and out of sight. The final photograph here is of the project undertaken by KBrownless. 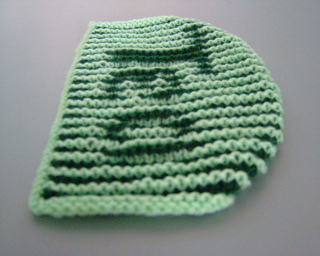 The pattern includes instructions for both of the cosies shown. 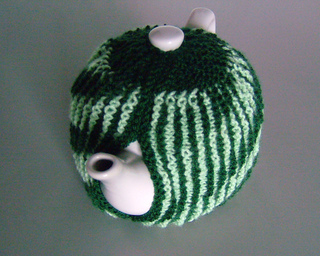 The green version has stripes that seem to spiral all round the teapot. 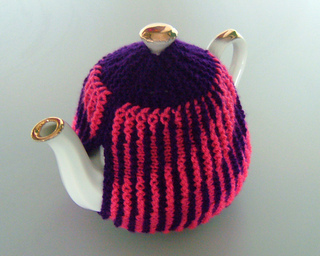 The pink/purple version has stripes which all point down towards the spout. 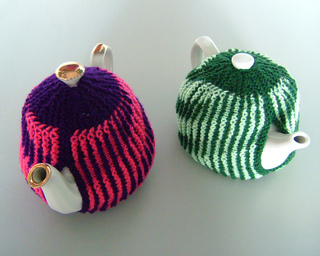 We originally tried to make a cosy with the word Tea on one side and a picture of a cup on the other. Both were too curved to be able to see clearly. 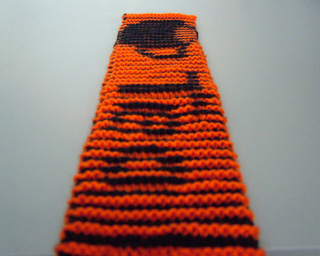 However, the pattern includes the charts for the cup and lettering as you could use them on a different item.